A Tokyo court has issued a provisional order requesting Google to remove specific search terms from its "Autocomplete" feature. This request follows a petition launched by an unnamed Japanese man. Although his name is currently unknown, the individual's attorney claims Google's Autocomplete links his client's name with crimes he did not commit. The court issued its request early last week, but Google has yet to publicly respond to Japanese court officials and has yet to comply the request. The man's lawyer, Hiroyuki Tomita, said that because Google is based in the U.S. it may not need to comply with local rules and policies. Although no official public statement has been made, Google did provide a response to news outlets once journalists began running headlines indicating Google was ordered to disable Autocomplete entirely. "The judge did not require Google to completely suspend the Autocomplete function. Google is currently reviewing the order." "Autocomplete is a feature of Google search that offers predicted searches to help you more quickly find what you're looking for. These searches are produced by a number of factors including the popularity of search terms. Google does not determine these terms manually -- all of the queries shown in Autocomplete have been typed previously by other Google users." It would seem Google is defending its Autocomplete system, claiming the feature's results are programmatically generated. The feature predicts what users are searching for by analyzing already popular search terms and spits them out without any manual input on Google's part. Given the seemingly autonomous nature of the system, Google may be protected from such complaints in the same way it is protected against providing links to illicit websites and other content on the web. Homita says the issue exists because there is a criminal who shares the same name as his client. As a result, when people search for his client's name on Google, they receive automatic suggestions which are only applicable to the criminal. 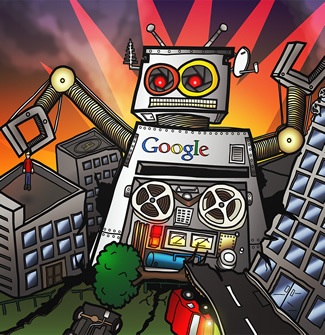 Homita claims the startling results provided by Google have caused "irretrievable damage". He also pointed out that his client has had a difficult time finding a job since Autocomplete was introduced (that sounds like a long time). Additionally, such alarming results could unfairly ruin his client's reputation, causing complications in other areas of his life as well.